The law firm of Warner Norcross & Judd LLP has named Nazli G. Sater as the chair of its Family Law/Divorce Practice Group. Sater will lead the eight-attorney practice group, which represents clients in all aspects of family law, including premarital and post-marital agreements, separations, annulment, divorce, custody and parenting time, spousal and child support, property division and others. 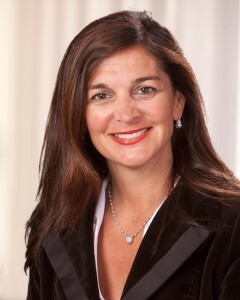 A partner who practices in the firm’s Southfield office, Sater brings more than 25 years of experience in family law, litigation and dispute resolution to her new role with the firm. A graduate of Leadership Detroit, Sater serves on the board of the Karmanos Cancer Institute and on the Family Law Advisory Board of the Institute of Continuing Legal Education. She has been named a Top Lawyer in family law by dBusiness and toMichigan Super Lawyers. Sater is a member of the State Bar of Michigan and the Oakland County Bar Association. She has also served as a guest lecturer on a variety of topics related to family law and divorce issues. She is also the author of the child custody chapter in the Michigan Family Law Reference Book. Sater holds a bachelor of arts from Wayne State University and a doctor of jurisprudence from Wayne State University Law School.